Full disclosure: I’ve never been much of a “girly girl”. For a long time I steered clear of pink, I never gave much thought to my clothing even in high school, I still don’t put on makeup except on special occasions, and I’ve never gotten my ears pierced. So when I discovered this amazing anime called Princess Tutu a couple years ago, I was initially compelled to introduce the show as “Princess Tutu *but it’s actually way awesomer than it sounds*” (read: it’s really not that girly…except it kinda is, but please believe me, it’s still amazing, I’M NOT INSANE). When I first showed it to my brother, I’m pretty sure I said something along the lines of “Hey, come watch this show on Netflix,” and just started playing the first episode before he had a chance to voice any misgivings. 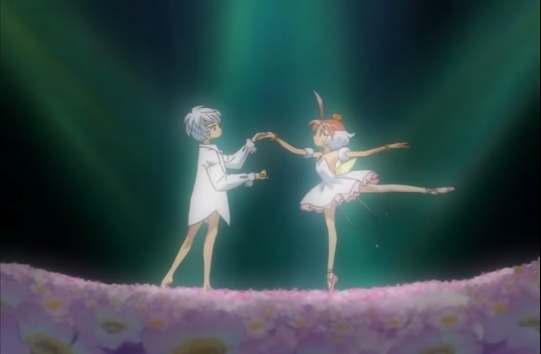 In all honesty, though, Princess Tutu is, in fact, a very girly show, being quite concerned with both princesses and “tutus” (that is, ballet), not to mention that the main character is kind of named Princess Tutu. It is also an amazing show, one of my favorite television series ever, and has an ending that can best be described as “perfect” (not just for an anime or TV show – it is quite possibly the best ending I’ve ever seen for any work of fiction). 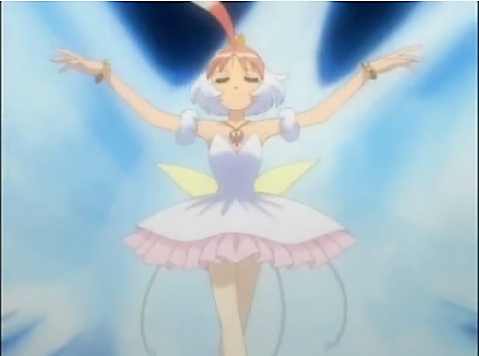 Perhaps the best description I’ve come up with for Princess Tutu is “a ballet in anime form”, although I can’t deny that it’s also a story about “a duck who turns into a girl who turns into a *MAGICAL*BALLERINA*PRINCESS*”. But it’s not awesome despite its girliness; rather, it embraces femininity and shows how awesome “girly” can be. Since the show itself is something of a ballet, all of the main characters (as well as most of the recurring cast) are ballet students. Not only does this tell you that the leading men (plural!) are just as passionate about ballet as the ladies, but over the course of the show, you get a feel for how much time and effort, even dedication and pain it takes to learn ballet and particularly to perform in such a way as to make it seem effortless. With that in mind, it’s great to see a show like this which uses dances from real ballets that real people can and do perform (they just added a dash more magic in Princess Tutu). 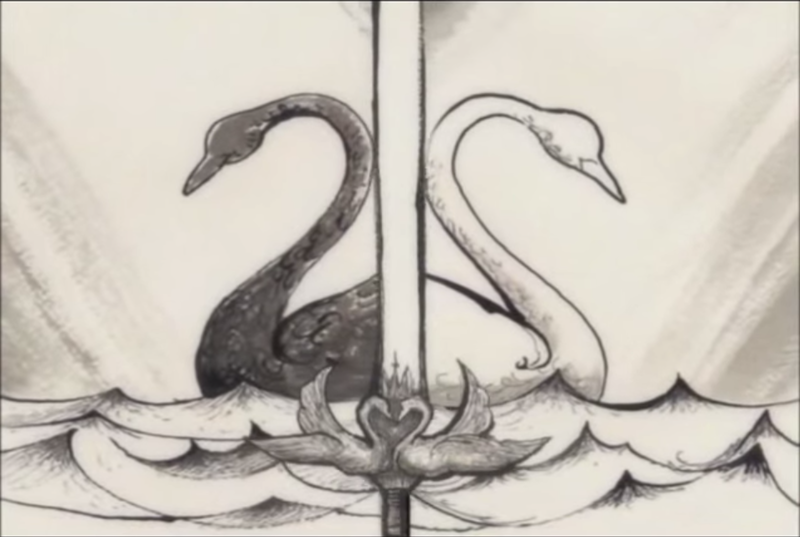 Each episode references some famous ballet, opera, play, or other classic composers, and while the use of music by the likes of Tchaikovsky, Wagner, or Saint-Saens alone is a treat (especially for people like me who grew up listening to classical music like that), it’s always introduced and incorporated in such a way that you don’t have to “get” the references to appreciate them (although a cursory acquaintance with Tchaikovsky’s Swan Lake is helpful, since it provides a central motif for the series). Fair warning, though: You may feel weirdly compelled to learn ballet (or at least look up half a dozen ballets on YouTube) upon finishing the show, and I imagine this compulsion would be far stronger for kids (even boys). Seriously, I would take ballet classes in a heartbeat if I ever got the chance, and I had always thought ballet was boring before I watched Princess Tutu. It instilled in me a desire to learn more about ballet, and gave me the basic tools to begin to interpret it. Seeing the dances so carefully recreated with a clear understanding of the original intent (even as they’re imbued with new meanings within the show itself), it’s clear that the people who created the show had a tremendous love and respect for ballet as a medium. The show is feminist in a very unique (and quite subtle) way, not so much about “girl power” as it is about the importance of femininity, a message which can be surprisingly empowering for guys, too. Here’s the thing: It’s easy to see a story with a bunch of “strong female characters” who can hold their own against the boys and/or kick the bad guys’ butts and applaud it for being “feminist”, but those female characters still represent a masculine ideal (that is, the “action hero”), an ideal which is frequently physically implausible for actual women (not to mention that I can count on one hand all of the “strong female characters” I’ve encountered that act anything like real women). That sort of narrative says that the only way for anyone to “change the world” is by fighting, which is an unhealthy message for girls and guys alike. 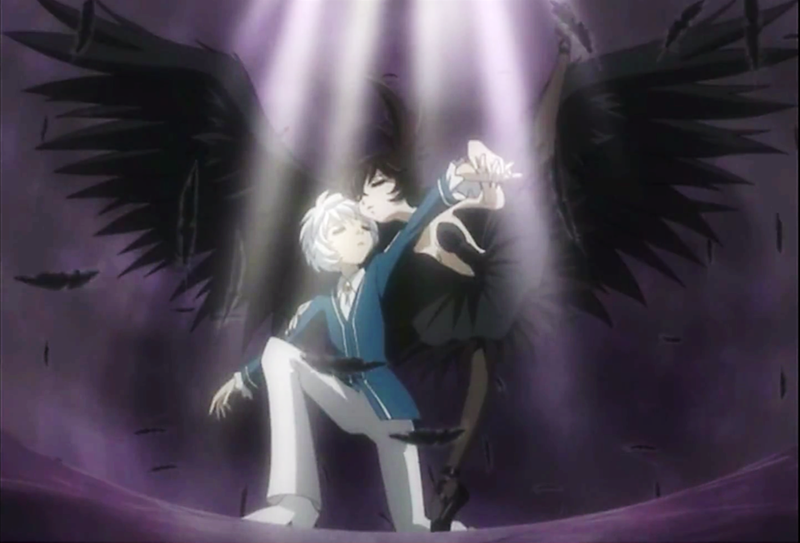 Princess Tutu provides a very feminine role model that manages to have an impact on the world simply by listening to people and helping them work through their problems by dancing. She’s not particularly “strong” – on the contrary, she tends to wear her heart on her sleeve. She has plenty of insecurities herself, but she still reaches out to people in pain and does her best to help them, and in the end, one of those people she helped manages to return the favor and dance with her when those insecurities begin to overwhelm her. While Tutu is certainly a good role model, I have to admit she’s not my favorite character in the show, since I personally found it difficult to relate to her. There are two other characters that I found much more relatable; it’s a tribute to the writers that there are three characters I love, and especially that they managed to write an ending to the series that gives all of them satisfactory conclusions. I’ll do my best to avoid spoilers, but there’s a much greater likelihood of letting them slip when discussing why I love these characters. First of all, there’s the other “princess”, whom I love primarily because her struggle is so human (as opposed to Tutu, who has more of a Little Mermaid thing going on). All she really wants is to be loved, but doubt and despair are always gnawing away at “the weak places of [her] heart”, telling her that she must fight to keep what she has, lest she should be left with nothing. I appreciate her character because we so rarely see female characters like her, someone who knows that she’s made horrible mistakes and is even “cast” as a villain (in the mold of Odile, the black swan), but is still sympathetic. I don’t want to give away any of the magnificent ending, so I suppose I’ll just say that she plays an important role in it and leave it at that. And then there’s “the Dark Knight”, whose name and identity beyond that I won’t reveal because spoilers (but his story has some bizarre parallels with Batman, I just couldn’t resist that pseudonym…). The Knight is easily the most masculine character in the show (but of course he’s still a wonderful dancer), and quick to resort to violence or other means of force to achieve his goals. Although he’s scared of dying in combat (which is, shall we say, extremely probable), he still clings to his sword because he would rather die defending the people he cares about than embrace his true talent, since he’s terrified of hurting others with a power far mightier than a single blade. This brings us to another fascinating aspect of the show: Each of the main characters has some sort of identity crisis that they have to work through, forcing them to figure out what it means to be their “true selves”. The other characters have physical manifestations of their conflicting identities, but the Knight just gets a ton of character development which enables him to become a more metaphorical new man. I could go on forever about this show (I barely even scratched the surface of the feminist/feminine themes in the show, never mind the layers of symbolism, the brilliant metafiction, or that glorious eucatastrophe of an ending), but unfortunately, my laptop can’t. Princess Tutu is a show that’s overflowing with the love and passion of the people that created it, and that alone is praiseworthy. Princess Tutu is currently streaming on Hulu, but no longer on Netflix (at least in America). If you actually feel compelled to watch it, let me know what you think of it (because this is one of those shows that I love watching with people just to see how they react…and also because it’s awesome).